This year has seen the largest humanitarian crisis since the UN formed in 1945—20 million people from South Sudan, Somalia, Nigeria and Yemen trapped in a severe hunger crisis, and in some cases famine. In Nepal, Bangladesh and the Caribbean, recent powerful storms have devastated entire communities, destroyed agricultural land and uprooted families, threatening their food security. War, poverty, oppression and poor health continue to cause hunger for many families in developing nations. In the midst of celebrations of thanksgiving, October 16—World Food Day—is a day to raise awareness and action for those who struggle against hunger and malnutrition. There are 216 million fewer hungry people today than there were 25 years ago, but 795 million people still do not have enough to eat. Approximately 70% of hungry people are farmers living in the global south. Almost 60% of people suffering from hunger in the world live in countries affected by conflict and climate change. The Food and Agriculture Organization’s theme for World Food Day 2017 is change the future of migration. Hunger, poverty and extreme weather events linked to climate change are driving people from their homes. Large-scale migration presents complex challenges throughout the globe. Investing in rural development and climate change resilience can help address the causes of migration and promote sustainable growth. PWS&D works with Canadian Foodgrains Bank and our partners overseas to help people in developing countries rise above hunger. PWS&D programs provide farmers with seeds, tools, fertilizer and training in organic, sustainable farming practices that increase crop yields and build resilience to environmental changes. Programs also teach families to start kitchen gardens, improve dietary diversity and prepare nutritious meals. In times of emergency, PWS&D provides food aid and agricultural livelihood assistance. We also work to engage Canadians in taking action within Canada to reduce hunger globally. Download copies of PWS&D’s new World Food Day bulletin insert. Pray, Give, Advocate: Use the Canadian Foodgrains Bank World Food Day worship resource and fundraising activity, Room at the Table. Make a donation to PWS&D or host a fundraising event to support our programs that teach sustainable farming techniques and provide food assistance to families in need. 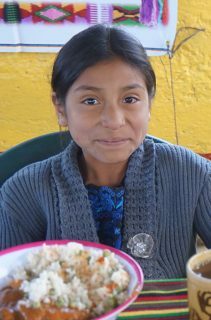 Take the Sunday School Challenge and help families in Guatemala have food for the future. Teach youth about global hunger with PWS&D’s educational resource Growing Hope Around the World. Advocate for strengthened support for small-scale agriculture through the Harvest of Letters campaign. Get together with members of your community or congregation to start a growing project. Read more about PWS&D’s projects that are helping people rise above hunger.